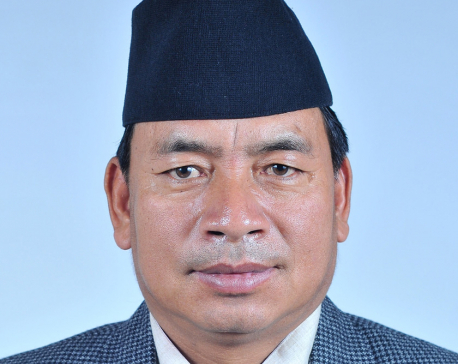 KATHMANDU, Dec 1: Vice President Nanda Bahadur Pun has said that the widening trade deficit due to burgeoning imports was a challenge for the government which is eyeing rapid economic development. “Our trade deficit is widening with each passing year. We imported Rs 8 billion worth of vegetables and Rs 23 billion worth of rice from our neighboring countries in the last fiscal year. It is a matter of shame that the country with large stretches of fertile land has been agro products in such a large quantity,” Pun said, addressing the 19th anniversary of Society of Economic Journalists-Nepal (Sejon). He, however, said that we have reasons to be hopeful. Citing some macroeconomic indicators, which have been moving toward positive direction, he said that the top priority of the country now, after promulgating the constitution, is to achieve economic development as well as prosperity. “To attract foreign investment or increase private investment in the country, improvement in business doing environment and development of infrastructure sector are our priorities,” he added. He said that Nepal has many sectors, including hydropower and agriculture, which can propel the country toward economic development within a short period of time. Similarly, Minister for Energy Janardan Sharma said that the government was planning to mobilize people’s capital in the hydropower sector which has immense potential in the country. He also said that the government itself was not satisfied with the pace of earthquake reconstruction works. Also speaking at the ceremony, Nepal Rastra Bank (NRB) Governor Chiranjibi Nepal said that there was a need to boost production for protecting the country from the economic fallout of dwindling remittances. “It may be difficult for the country if the remittances continue to fall. The remittance inflow has become uncertain. So we have to boost our production,” he added. He also lamented at the low demand for the subsidy and other schemes provided by the central bank and the government. “We have schemes that provide subsidy on interest for loans extended to agro business, tourism sector and earthquake affected business people. But these schemes have been largely underutilized,” he said, urging business people to utilize business opportunities in the country. Referring to the uncertainty over exchange of demonetized 1,000 and 500 Indian rupee bills, he said that the central bank and the government have been making efforts to get approval from the Indian side for providing exchange facility. He also said that India has become positive toward their request.